Are There Rewards In Heaven Based on How We Live on Earth? There are two schools of thought when it comes to whether or not the believer will receive rewards in heaven based on what he or she did here on earth. One view holds that all believers will enjoy the same, or similar, existence in heaven; there will be no ranking or any other means of hierarchy in the afterlife. The opposing viewpoint posits that those who have been extra faithful in this life will be graded, and thus enjoy extra benefits, on how faithfully they served God in this life. For instance, if a believer lives as close to a perfect life as he or she possibly can, that person will receive extra blessings in heaven. Both viewpoints are based on an understanding of certain Bible verses and passages. Many good Christians believe that Christians will receive different rewards based on how they live here on earth. Commenting on the word ‘reward’ in 1 Corinthians 3:14, Charles Ryrie writes, “Rewards are often spoken of as crowns (cf. [1 Corinthians] 9:25; 1 Thess. 2:19; 2 Tim. 4:8; Jas. 1:12; 1 Peter 5:4; Rev. 2:10; 3:11; 4:4, 10)” (Ryrie Study Bible). Theologians Norman Geisler and John MacArthur share Dr. Ryrie’s viewpoint on this subject. “…each one’s work will become manifest, for the Day will disclose it, because it will be revealed by fire, and the fire will test what sort of work each one has done. 14 If the work that anyone has built on the foundation survives, he will receive a reward” (1 Corinthians 3:13-14 ESV). “For we must all appear before the judgment seat of Christ, so that each one may receive what is due for what he has done in the body, whether good or evil” (2 Corinthians 5:10 ESV). There is another group of believers who believe the Bible teaches that all Christians will receive the same rewards in heaven regardless of their earthly existence. They posit that our entrance into heaven is based on Jesus’ work, not our own; therefore, our works here on earth merit us nothing in heaven. Philosophically speaking, this would also preclude any sort of friction in heaven between those who receive more and those who receive less; everyone would be equal. Craig Blomberg, for instance, believes that when Jesus referred to some of His followers being ‘least’ and some of them being ‘great’ (Luke 9:48), He was referring to the earthly Kingdom and did not imply a hierarchy in the afterlife. Mr. Blomberg believes that most of the passages concerning “rewards in Heaven” actually refer to the “reward of entering Heaven”. This can be substantiated contextually also. Blomberg, and others, share this sentiment, “I do not believe there is a single NT text that, when correctly interpreted, supports the notion that believers will be distinguished one from another for all eternity on the basis of their works as Christians” (Blomberg, p. 160). He believes that, if a Christian believes he or she will get a bigger reward for working harder for God, that Christian may have the wrong motivation for serving the Lord. Instead of serving God out of gratitude for His love, the result would merely be a works-based servitude with the hopes of getting more back later. While both viewpoints presented have merit, and can be supported biblically, there is no clear definitive interpretation which is clearer than all others…nor does there have to be. The Bible does indeed speak of heavenly rewards for those who “abide in Christ”; who are “called according to His purposes”, etc. It also speaks of peace and joy and love as by-products of our union with Jesus. These characteristics will accompany the faithful believer, not only as he or she lives daily on this earth, but also into the afterlife. 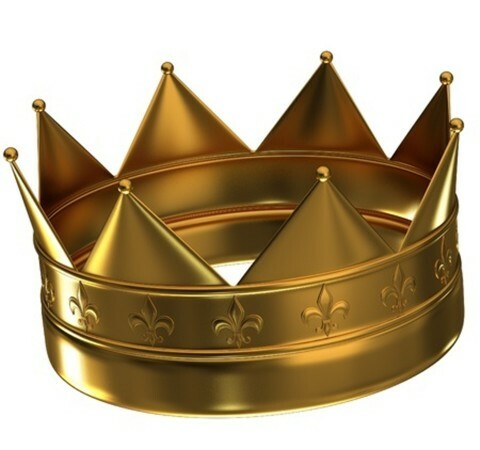 The Bible also tells us about certain rewards, calling them ‘crowns’, that each of us will receive in the afterlife; we are promised a “crown of righteousness” ( Timothy 4:8); a “crown of life” (James 1:12; Revelation 2:10); and a “crown of glory” (1 Peter 5:4). We are even promised a new body to live in (1 Corinthians 15:35-58). The Bible tells us about certain rewards, calling them ‘crowns’, that each of us will receive in the afterlife. Also, Jesus encouraged His disciples, when they were undergoing persecution for His sake, to remember the great reward that awaited them in heaven (Matthew 5:12; Luke 6:22-24). We would be wise to keep this in mind when we endure mockery, persecution, and discrimination, for His sake. Heaven awaits us! We should remember that salvation from sin and eternal life with the Creator of the universe is more reward than any of us deserve. God chose to send His Son to die for our sins while we were still in our sins (Romans 5:8). The alternative, had God chosen not to implement and offer salvation to us, would be that we would live an eternity in miserable separation from Him (2 Thessalonians 1:9). Secondly, the Bible tells us that there will be no tears, pain, or heartache in heaven; therefore, we know that our existence in heaven will be better by leaps and bounds than our existence here on a planet that is reeling from the effects of sin (Romans 8:18-20). We cannot even fully comprehend what a life would look like if sin, and its effects, were gone…it would truly be paradise…as God intended (Genesis 1:21). Heaven will be paradise. While the viewpoint that we earn rewards in heaven for our faithfulness to God here on earth, as well as the view that all believers will receive the same reward, can both be substantiated from the Bible, we should be so incredibly grateful to God for what He has done, and is doing, for us, that we serve Him, not for rewards, but merely to love, honor, and glorify Him with our lives. When all is said and done, it should be enough to hear the words of our Lord saying to us, when we have finished this life, “Well done, good and faithful servant” (Matthew 25:21, 23 ESV). Resources – The Holy Bible, English Standard Version “Scripture quotations are from The Holy Bible, English Standard Version® (ESV®), copyright © 2001 by Crossway, a publishing ministry of Good News Publishers. Used by permission. All rights reserved.” Blomberg, Craig L. Journal of the Evangelical Society. 35/2 (June 1992), pages 159-172. The Ryrie Study Bible, Charles Caldwell Ryrie. Moody Press, 1976. Hello Robert, this reminds me of the parable of the owner of a vineyard who goes out at different times of the day to hire workers. And when it comes time to pay these workers, they all receive the same. Whilst some grumbled about this, the owner gently pointed out that they were paid the agreed price, so why should they complain. Also the thief on the cross, he certainly didnt have the opportunity to earn a reward, he was satisfied that the Lord would simply remember him, yet he received a much greater reward, to be with Him in Paradise! Good to hear from you again, from across the big pond. Thank you for the kind words and the interesting observations. I think you hit the nail on the head with your thief on the cross comment. That thief had no works to offer Jesus; he trusted in Jesus to provide the forgiveness that he realized he desperately needed. And Jesus forgave him. Man, I can only imagine how that thief felt, going from his decrepit state, being forgiven, and then right into the presence of the Lord. Amazing!!! God bless you brother. “Philosophically speaking, this would also preclude any sort of friction in heaven between those who receive more and those who receive less”. I wonder about this conflict vis. those having greater honor than others based upon their works. I speculate that sin will be absent in Heaven and as a result we will not be “jealous” of those with greater honor than ourselves. We will, in the end anyways, throw our crowns before His thrown crying, “Thou art worthy, O Lord, to receive glory and honor and power: for thou hast created all things, and for thy pleasure they are and were created”(Rev 4:11). There remain many mysteries about heaven that we just won’t understand until we get there, if then. I have done a couple of studies recently that have reminded me how much I still don’t understand about the Bible. I mean, nothing that threatens my faith, just stuff that I thought I KNEW the Bible said but, when I go to the Bible and truly let it speak to me without my presuppositions getting in the way, I find that the Bible is just not that crystal clear about the subject (or maybe I’m just getting denser in my old age). God bless you Doc. However the question implies that heaven’s rewards will be ranked. This is a finite human view of God’s rewards. Just like the workers that complained that God paid those who had worked only a few hours the SAME as those who worked all Day. God will reward us each as to what HE has known we are due. Even down to our dwelling with HIM. It will be with those things He knows are what we need to enter HIS rest. Yes, we all get the entry to live with HIM. Yet just as the one servant was given 10 talents and the other 5; because they both had done well and invested it rather than hide/buried it. So I believe some of heavenly rewards, are a result from our actions on earth. Like the talents each servant was given to use until the master retuned. Not that it will be a ranking but each will be given the result of what we have done,with what HE gave us to do. Are we not going to SHARE in the glory? Are we not going to cast down our crowns (rewards) at HIS feet in PRAISE? ***I do think that we will be surprised and over joyed when we see and hear of how our OBEDIENCE helped someone find or follow God fully! So this unknown is what I am most eagerly want to learn; after greeting my loved ones whom I dearly now miss, upon my entry to heaven. I SHALL NOT WAN FOR NOTHING OUT SIDE THE FOOD OF SOULS HIS, HIS UNCHANGING WAY OF BEING THE SAME YESTERDAY TODAY AND FOREVER. Thanks for this balanced article weighing in on both sides of this issue of Degrees of Reward. I myself, like Dr. Blomberg, have been increasingly uncomfortable with the talk of rewards. In fact, as I have prayed about this and surveyed the letters of Paul, I am hard pressed to find Paul using rewards (in the measurable sense) as a motivation. Rather, I see fruitful obedience birthed out of the joy of knowing we, together with all the saints, will have our full, endless inheritance in Christ as our reward (Colossians 1:3-6, 3:23-24). Admittedly, there are texts I am wrestling with that seem at first glance to talk of rewards, yet they do not seem convincing taken into consideration alongside the general thrust of Paul’s letters to be motivated by the riches of Christ alone. If, like Randy Alcorn believes, it is true that there is a ‘law of rewards’, in that our good words will in a sense “earn” us (by the grace of God, granted) more rewards, why then does Paul say to the Philippians in the first chapter that he is hard pressed between the two options: To depart and be with Christ, or remain in the body. He concedes that departing is better, but he will stay for their sake. However, Paul states that he would indeed stay in the body, but exclusively for the sake of other believers. What I take that to mean is that, because his reward is already secured in full, yes, it would thus be exceedingly and abundantly better to be with Christ. But because all his rewards are in Christ, he willingly stays for the joy of the elect. If there were indeed in place a system of rewards, would Paul, if being honest, then desire to stay on earth rather than depart and be with Christ? And even if he would still rather be with Christ over earning rewards, would he not admit that he would be remaining, not only for the sake of other believers, but also in a sense, for his own sake? Ultimately, if there were the possibility of shoring up rewards to increase our enjoyment of ETERNITY (a long time, mind you), I would not be able to repeat after Paul in saying “to live is Christ and to die is gain.” For dying, to me, would be the foregoing of potential eternal treasures and that would certainly not be gain. I hope I am not overlooking anything! But yes, again, I appreciate the article. I also ask you: Do you know of any more scholars and theologians that share Craig Blomberg’s view? I wrote this article as pertaining to rewards in “HEAVEN”. Since I wrote it, I have been wondering if it would have been the same article had it pertained to “THE RESURRECTION”. It is common, and I must admit that I often have this same mindset, to think that we simply go to heaven when we die and live with God. While this would certianly be enough, the Bible seems to indicate that there will be a physical bodily resurrection of the Saints to a “new heavens and a new earth”. Do ‘reward’ have anything to do with that? I am in the praying/pondering/reading/researching stage right now; I don’t have a solid grasp of the whole ‘afterlife’ (I mean, I know it will be in God’s presence and it will be wonderful, but I’m still unclear as to the details). I may never understand it all, or even as much as I’d like to understand. However, no matter what, I KNOW that I am safe in God’s hands and whatever He has planned for me will be far better than anything I could ever imagine. God bless you Alex. P.S. I’ll let you know of any authors holding to Mr. Blomberg’s viewpoint as I run across them. Paul ran the race, as he encouraged us to do, that we might win the prize or reward. What was that reward? He tells us, it is the “high calling of God”. What does that mean? He tells us..it is God’s “Calling” in “Christ Jesus”. IOW, it is God’s calling us to be saved in knowing Christ. How do we know Christ? ” But what things were gain to me, those I counted loss for Christ. “For I fully expect and hope that I will never be ashamed, but that I will continue to be bold for Christ, as I have been in the past. And I trust that my life will bring honor to Christ, whether I live or die. For to me, living means living for Christ, and dying is even better. But if I live, I can do more fruitful work for Christ. So I really don’t know which is better. I’m torn between two desires: I long to go and be with Christ, which would be far better for me. But for your sakes, it is better that I continue to live.”(Phil 1:20-24). Notice that Paul said “But for your sakes” it was better that he continue to live..not for his sake. Does this sound like he might want to hang around earth to gather up some more treasure for eternity so he would not get bored? No!! He was torn between remaining to “do more fruitful work for Christ” not because he was selfishly thinking about his gain. He was thinking about being a faithful servant of His Master, Christ. OTOH, he wanted to die so he could go to be with the One he loved! This has nothing to do with selfish desire for heavenly gold. He already told you he was running so that he might not miss being apprehended(Phil 3:13). So my question Alex, is do you know Christ? Have you acknowledged your sinful standing before a Holy God and are you aware of your wretched estate as a sinner. That without Christ we are “ALL” going to hell? Next have you repented and turned from your sin, forsaking it and have you trusted Christ as your Savior, acknowledging that He rose from the dead and that faith in Him is your only chance of salvation(reward). No riches do we bring Janis, always and only Jesus!